The Mann-Witney U Test is is an interesting procedure and really very straightforward if you would follow through. I happy to know that you are making effort to learn hypothesis testing. Feel free to leave me a comment below if you have any challenges. I would be happy to give you needed support. 1. What is Mann-Whitney u-Test? Mann-Whitney u-Test is a non-parametric test used to test whether two independent samples were selected from population having the same distribution. 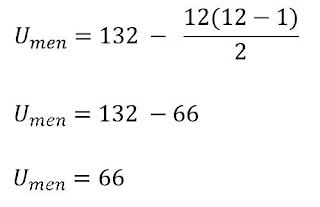 Another name for the Mann-Whitney U Test is Wilcoxon Rank Sum Test. 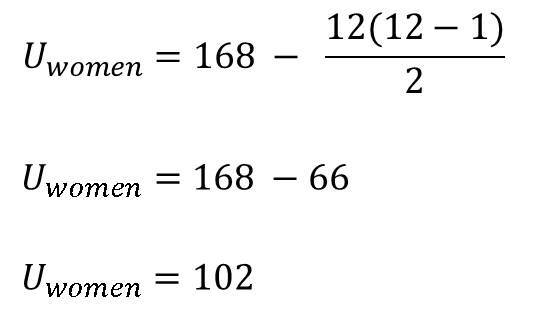 Note: This is not the same as Wilcoxon Signed Rank Test which is used for dependent samples. Just as you know, the easiest way to understand as statistical test is to just perform the test yourself. So now we are going to go through an example and be sure to follow along with a pen, notebook and a calculator. It is really easy and fun! We would follow the step by step procedure. 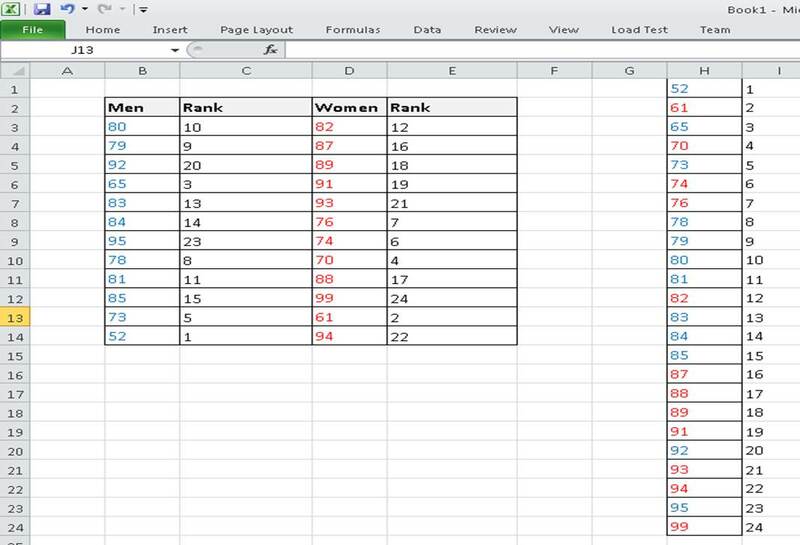 We would also use excel to tabulate our data to make it easier to perform calculation. 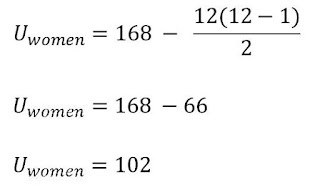 The null hypothesis states that median difference between the pairs ranks of the observations is zero (that is there is no difference in the ranks of the two pairs of observations) and the alternate hypothesis states that the median difference between the ranks of data is not zero. In this case, we simply subtract corresponding pairs of the data. We would used MS Excel to help us do it faster. 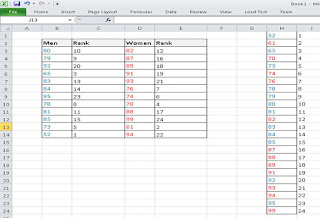 So, I have transferred the table excel and the added a column for the difference in the two pairs of observations. Total number of observation is 24, so we need to rank the observations from 1 to 24. In the figure, I have colored the observation for Men as blue and for Women as red. This is so that, when I sort the data, I would know which one belongs to which group. I sorted the data to make it easy to assign the ranks to each of the observation. Since the calculated value of U is greater than the critical value, we accept the null hypothesis and agree that the two groups are the same. Thanks for learning. Leave a comment if you have any challenges following this lesson.